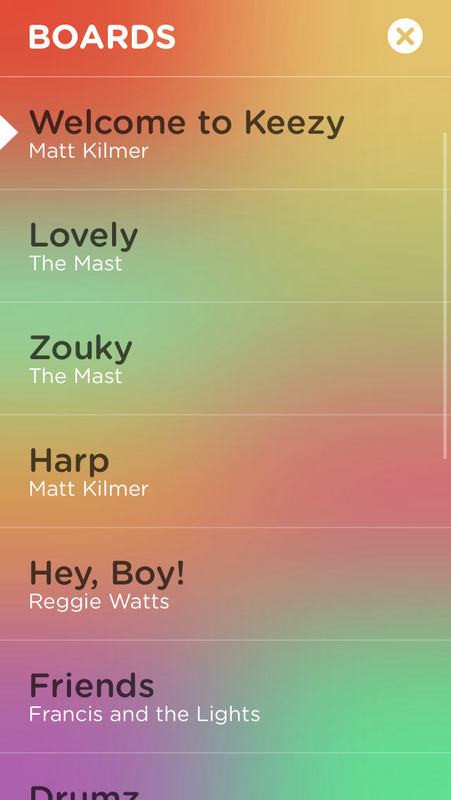 I recently used an app called Keezy in a storytime I was presenting all about music. The app was originally designed for professional (and aspiring) musicians to use as a sound mixing board, but it has a super-simple interface that makes it into a very flexible tool easy enough for kids to use and full of possibilities for different ways to use it. 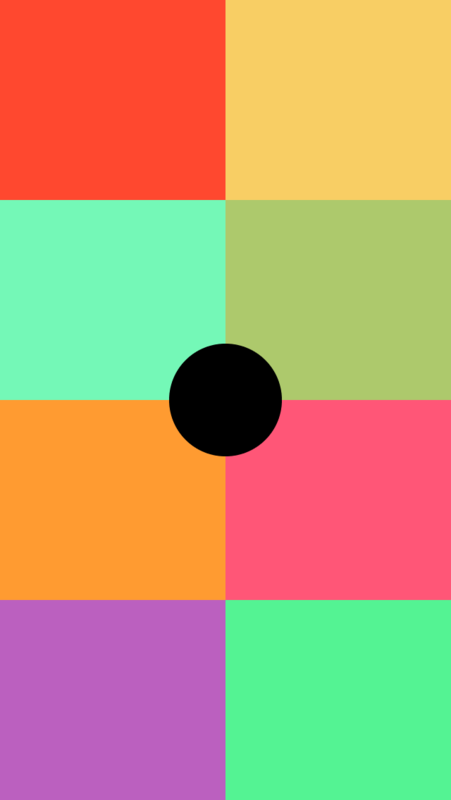 The main screen of the app consists of 8 colored squares. When you first open the app, you can touch each square to hear a pre-recorded default recording. Some of the sounds are rhythms, some are synthesized voices singing, others are short musical riffs. You can play them one at a time, or layer them in any way you want, pressing as many as all 8 at once. You can also choose one of the other pre-recorded musical mixes to hear a different selection of sounds. But the real beauty of this app comes when you choose the “+” symbol from the options menu. 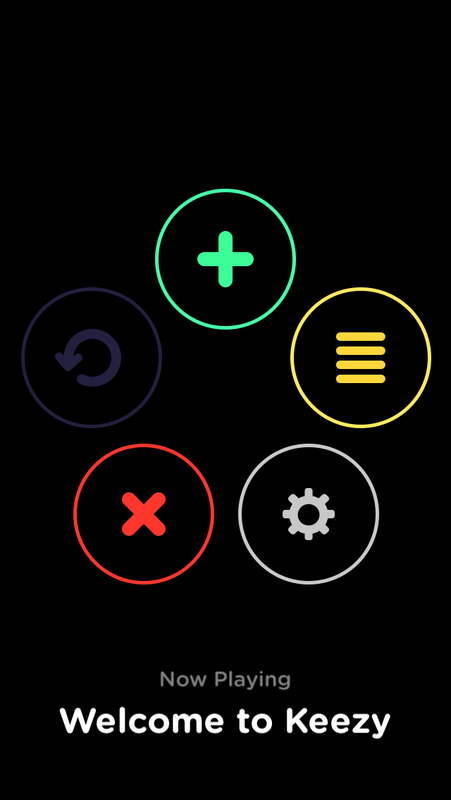 This option will take you back to the main screen, only this time, there is a small microphone symbol on each square. 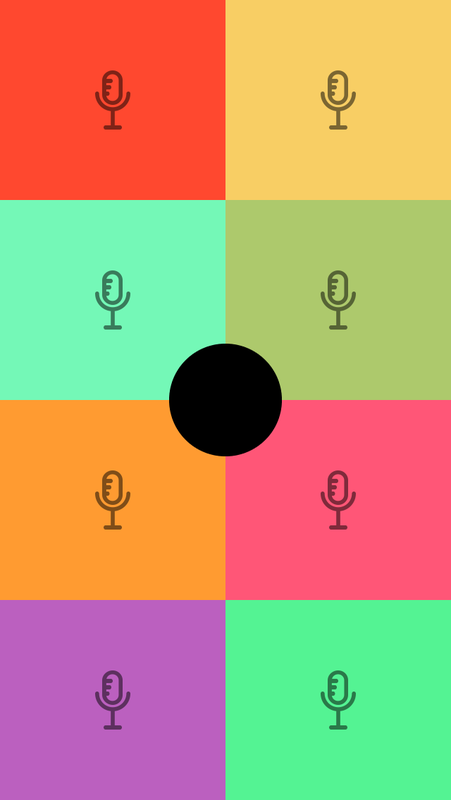 Press on a square to record your own sound clip and once it’s recorded, the microphone disappears to let you know that that color now has a recording associated with it. Recording animal noises (or your own voice making animal noises) for a guessing game. You could incorporate this app into a re-telling of one of those cumulative tales like “Too Much Noise” and record your audience making each of the animal noises before you begin telling the story and just press the button each time when it’s time to hear that noise in the story. Same thing for the song, “Bought me a Cat” (of course, the audience can still sing along if they want to!). You could do a MadLib story with a group and assign a part-of-speech to each color square (as long as your MadLib has no more than 8 blanks) and ask kids to come up and record a word for each square, then as you’re retelling the story, just press the square to playback the word at the right time. You could have kids write an 8-sentence story and record a sentence for each color, but in a scrambled order and challenge a friend to figure out which order the colors should be played in to make the story make the most sense.This is a great, easy-to-use, open-ended content creation app with so many possibilities to explore. Oh, and did I mention? It’s FREE! What will you make with Keezy? Posted on February 21, 2015, in Apps, iPad, Music and tagged Carissa Christner. Bookmark the permalink. Comments Off on App Review: Keezy.